Thank you for sharing! I got lots of good ideas! I keep forgetting how important clear expectations are! My three oldest kids thrive using their checklists—they love knowing what they need to do to be done and they love the independence it gives them. I agree, that having a system in place, even if the system is different for each child, helps a lot. More than half the battle is a plan in place. The VCF is a great challenge for me; I’ve enjoyed it tremendously already. Sounds very similar to my home. With one very scheduled child and one that I need to keep on top of.. Glad you found a system that works. 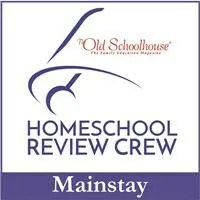 It really helps to make homeschooling manageable and getting somewhere in the long run! Can’t wait to hear more! Manageable is so important! 😉 Thanks for dropping by. This is really something I need to work on, and gives me a lot to think about with one of my kids in particular! I am glad it helped a bit and perhaps that one child will benefit. I think we all can benefit somewhat by making the changes.